Enclosed Case Carts : Balego & Associates Inc. - BalegoOnline.org, Providing the Products You Want and the Services You Need Since 1984. 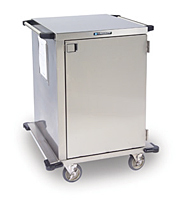 Lakeside Case Carts are built to Sterile Guard specifications. 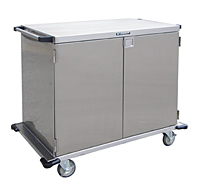 This cart features fully welded construction; exterior push handles for better control and more interior space; sealed doors for sterility. Corner bumpers protect walls and doorways. One piece shell/top minimizes seams, discouraging bacteria growth. Cross-broke floor is angled to the middle with small holes allowing drainage. 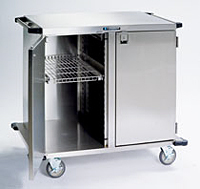 Units include one pull-out, adjustable-height shelf per compartment. Additional accessory pull-out and fixed shelves are available. 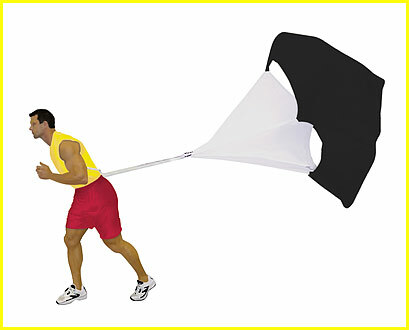 SPEED CHUTE SMALL, Under 170 lbs. There currently are 985 guests online.